Fees, inflation and taxes (FIT) are often unaccounted for when planning for retirement. We offer tips and tools to help you do better. Sridhar Ramakrishnan, Save today. Prosper tomorrow. Compounding, as we all know, is a very powerful tailwind that propels our retirement security forward if properly harnessed. But, sadly, compounding also provides a powerful headwind that pulls down our retirement security when we consider “fees,” “inflation” and “taxes” (FIT). Most of the time, when we do quick calculations about how much we need for retirement, we omit fees, inflation and taxes that must be accounted for. Consider a simple example: Assume that you need to withdraw $24000 a year from your retirement accounts (401K, IRA, etc.) to cover your retirement expenses. Assume that you commence retirement in 2030 (for example). Clearly, each year costs rise each year so that by 2030, $24000 in 2018 dollars is actually worth less. Or, put differently, in 2030 we need to withdraw more money from our account so that it is actually worth $24000 in constant 2018 dollars. Assuming inflation is 2% each year, this works out to (approx.) $30437 (in 2030). Now over 35 years of retirement (ending in 2064), this number further grows to approx. $59678. When you add in taxes that must be paid on amounts withdrawn, the numbers get even larger. Assuming a 10% tax rate, fully loaded withdrawal that includes inflation and taxes grows from $33819 in 2030 to $66309 in 2064. If you think you need to withdraw $24000 each year for your retirement, this works out to $840000 over 35 years — no inflation/taxes. Add in inflation, and over 35 years this total is $1,521,722. Add in taxes and this number is $1,690,802 — more than 2x! So never never never ignore these when you do your long-term calculations to gauge your retirement health. I call these three the “bad cholesterol” of financial health — they silently deposit plaque in your financial arteries eating away at your returns. Averages (and, medians) Mislead. Test your plans against historical return SEQUENCES. First, an apparent paradox. Two people Bill and John are financial clones (identical portfolios, identical annuities, interest gained, tax rate, withdrawal amounts, etc.). They both plan for 35 years of retirement and think they are doing well. Bill reaches retirement age of 65 and goes through retirement — with no money problems. John too reaches retirement at 65 but part way through retirement runs out of money! How is this possible? Answer: When Bill retires he is lucky — the early years of his retirement have positive returns in the market. The amounts he gains from his investments offset his withdrawals so his balance grows and compounds. When withdrawals grow larger in later years and market declines come, his balances have grown sufficiently to cover these years. John is not so lucky — when he retires there are a few early years of market declines. His assets and withdrawals both decline. Later as the markets recover, the assets start growing but by then his withdrawal amounts have risen (because of inflation) causing him to never fully recover. He runs out of money later in retirement, sadly! I have seen numerous folks (both in our classes/webinars) as well as on financial blogs make statements to the effect “I am assuming a conservative X% return on my portfolio….” implying that because X is conservative they should be OK. This works well (to a first approximation) for initial planning but not for gauging whether you will be solvent through your retirement. Your solvency during retirement is based on two opposing forces: 1) the balance decreases as you withdraw amounts to meet your retirement needs. These amounts increase each year inexorably due to inflation/taxes (as we discussed earlier). 2) the balance increases or decreases as your assets rise/fall with the market depending on your asset allocation. If the increases generated by the latter outweigh the reductions of the former, you will be OK. But, if the balances decline faster than your assets rise, you may run out of money in retirement. Let’s illustrate this with an example: Consider two sequences of annual % returns (of S&P 500) shown below. Return 1 is the annual return of S&P 500 index (including dividends) for the 35 year period from 1982 to 2016 (inclusive). Return 2 is a simple permutation of Return 1. The only distinguishing characteristic of Return 2 is that the three negative returns that appear toward the middle of the sequence in Return 1 now appear towards the beginning. Both have identical averages (9.76%) and medians (12.37%) — both of which are actually stunning annualized returns. Using the Return 1 sequence of annual returns (starting with 14.07% in the first year and so on), you are able to nicely complete 35 years of retirement. But move the negative returns to the beginning as in Return 2 — and now you can only complete 22 years of retirement. Darn! Going broke late in retirement is no fun at all! Instead of using the sequence of returns, if you used the median of 12.37% annual return, then again you handily complete the 35 years of retirement. So crucial lesson — when evaluating whether your withdrawal plans during retirement work stress test different return sequences for your portfolio just to make sure that you are covered. We created a tool for this purpose that can help you — more on this in the next section. Another concrete suggestion: Plan for a range of retirement start years so that if you approach retirement age as markets are declining, you can stay working for a couple of additional years to avoid the blight of this early market declines screwing up the rest of your retirement. If return sequences, market conditions, etc. sounds too technical for you, don’t worry. We have pulled together a simple spreadsheet that allows you to input data in terms you understand: your expenses, your assets, your income. The tool then does the rest. This tool is intentionally designed so that you have to work too! For example, you have carefully estimate your expenses from the bottoms-up. We intentionally do not adopt the model where retirement expenses are set at some fraction of your last annual income prior to retirement. For example, a lot of tools set your expenses at (say) 85% of your last income. Make $80,000 in the last year prior to retirement, and they assume your annual expenses will be $68,000. Better to be precise. So, instead, we define concrete categories of expenses for which you must estimate your retirement expenses. These categories are housing, utilities, food, transportation, insurance (including health insurance which will be a major expense we as get older) and taxes (as we have already discussed above). Don’t worry – as we make you work for it, we also provide you information about what people who have actually retired are paying for their actual expenses – so you can compare and see whether your estimates look reasonable or not. All tools (like classes we take) hew to the “garbage in, garbage out” principle – that is, the caliber of answers you get is ultimately dependent on the caliber of the inputs you provide. 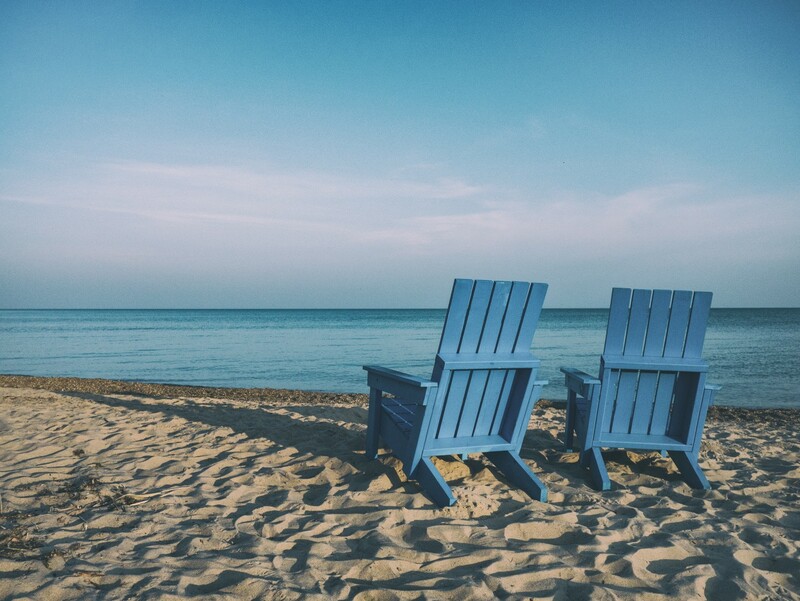 Most of us have self-directed retirement plans (such as 401k) which means that we are responsible to make sure that we are managing our retirement plans appropriately. Ignoring this, or deferring this too late, is not an option. Start planning early. Spend a little bit of time each year making sure that you are set for the future and that your goals and current status are still in alignment. Be precise and eschew ambiguous tools and recommendations. Dig into the numbers: expenses and income available to you in retirement. How much social security will you have coming in to you? Be prudent – expenses have a way of coming in higher than we plan. And incomes tend to come in a little lower. So plan for that. What about unexpected expenses? The sudden home repair? The emergency health expense? The awesome news is that we are all living longer – and we can hope for remarkable medical breakthroughs over the next decades as well. We need to make sure therefore that our retirement can accommodate a longer period of retirement. Sridhar is the Founder/CEO of Arnexa, Inc. helping users build a savings habit. We don't focus on coupons, classes or calculators. Rather we focus on habit formation - and draw our inspiration from behavioral science and gamification to help users. Prior to Arnexa, Sridhar founded two other start-ups, and worked at Hewlett-Packard in various engineering and management roles.